The Flame Warrior Mouse is a breed of mouse found in the Fiery Warpath location. It can be attracted and caught only during Wave Two. They are not known to drop any loot. Bearing the scars of battles past, this mouse has a moderate amount of experience when it comes to conquest. The Flame Warrior has been trained and wields a mighty war hammer with expertise. 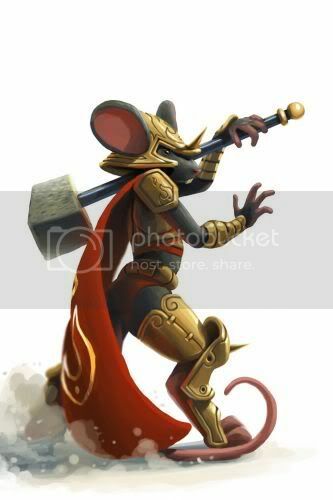 It is just a matter of time before it is eventually promoted to the highest ranks of the warrior mice. Flame Warrior Mice have no specific preference for any kind of cheese. Flame Warrior Mice were introduced on 22 March 2011 with the release of the Sandtail Desert region. This page was last edited on 28 June 2014, at 17:32.